We wanted to make sure everyone is aware that the email address for our State Apiarist, Tammy Horn Potter, has changed. Her new email address is tammy.potter@ky.gov. She will no longer be able to receive emails sent to her old address. Please update any contact information you may have for her. 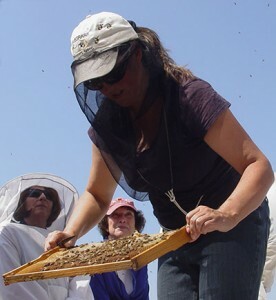 While you are updating her contact information, you may want to consider dropping her an email to thank her for all the hard work she does to help Kentucky beekeepers and to teach others about honey bees and beekeeping. To learn more about the State Apiarist position and / or Tammy’s background you can visit the Kentucky Department of Agriculture’s Honey Bee page or KSBA’s State Apiarist page.